Saruman sends out his army of 10,000 uruks to attack Rohan. Erkenbrand leads the Rohirrim against Saruman’s army. He is defeated. 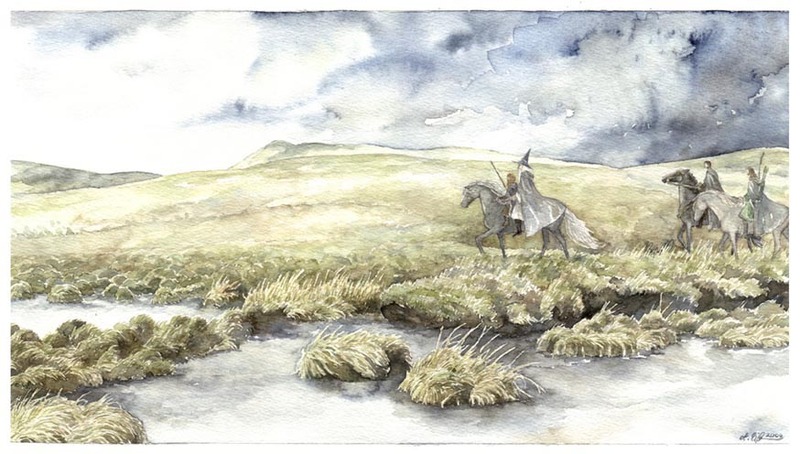 Gandalf and the others continue towards Edoras. Legolas sees Edoras in the distance one morning. They proceed with caution. They come to Meduseld. The guards say they are not welcome, by order of Wormtongue. Gandalf becomes angry and demands to speak with Theoden. They are allowed inside, without weapons. Wormtongue lashes out at Gandalf, who brings thunder down upon him. Gandalf frees Theoden from Wormtongue’s influence. Theoden recovers his mind. Theoden calls for his guards to release Eomer. Theoden confronts Grima, accusing him of treason. He gives Grima the choice of fighting alongside the army or leaving the country. Grima leaves. Theoden reunites with Eomer and Eowyn. 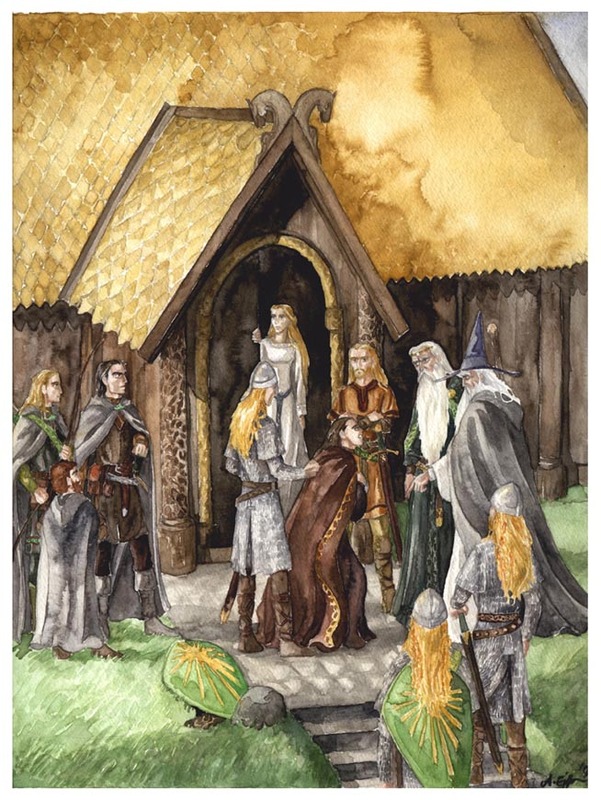 Bregalad translates the words of the Entmoot to Merry and Pippin. Suddenly, the Entmoot lets out a mighty roar. Merry and Pippin see the trees move around them. 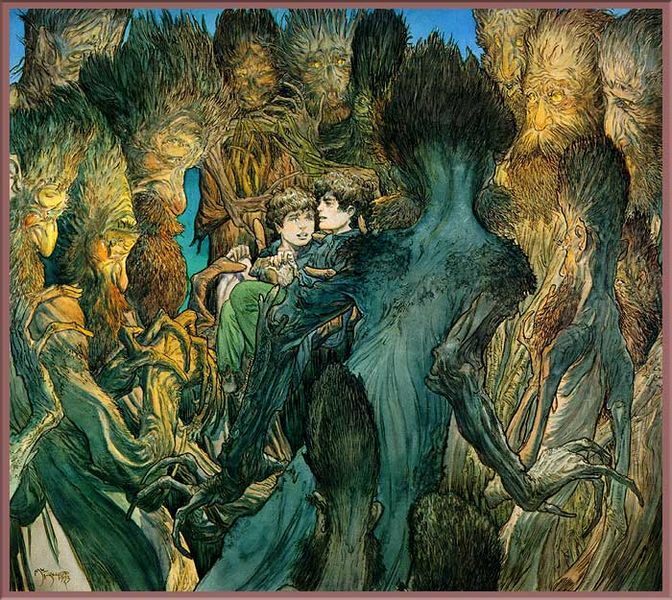 Treebeard takes Merry and Pippin and announces that the Ents are going to Isengard. The entire forest begins to move. Theoden visits the grave of Theodred. He expresses his regret in not being there for his son. 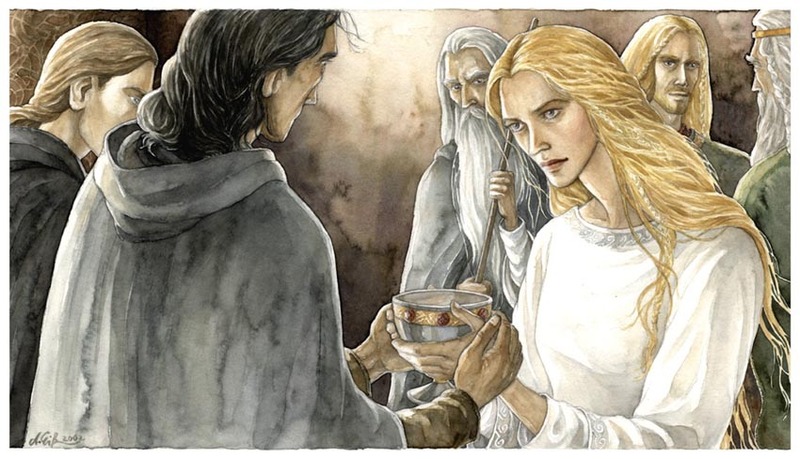 Aragorn becomes friends with Eowyn. Theoden declares war on Isengard. He orders Eomer to assemble the army and prepare to ride west. Grimbold returns with news that the Fords of Isen are lost. 10,000 uruks have invaded Rohan. Theoden, Aragorn, Gandalf, Eowyn, Eomer, Legolas and Gimli debate their next move. Theoden decides to ride against the uruks at the Fords of Isen. 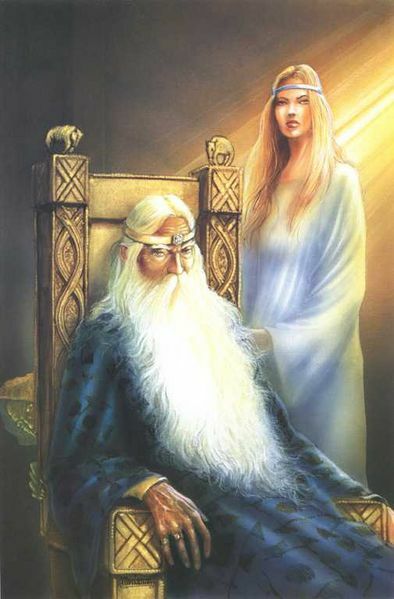 Eowyn wishes to ride with them, but Theoden orders her to remain in Edoras to look after the people. 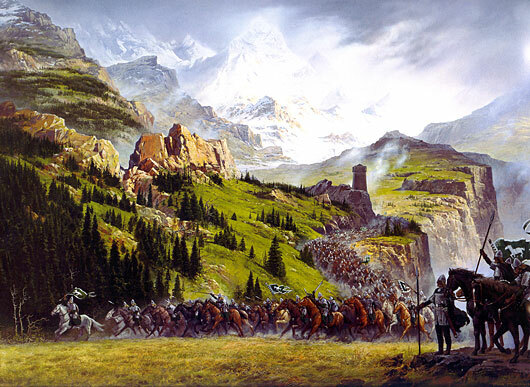 Theoden leads the army from Edoras. 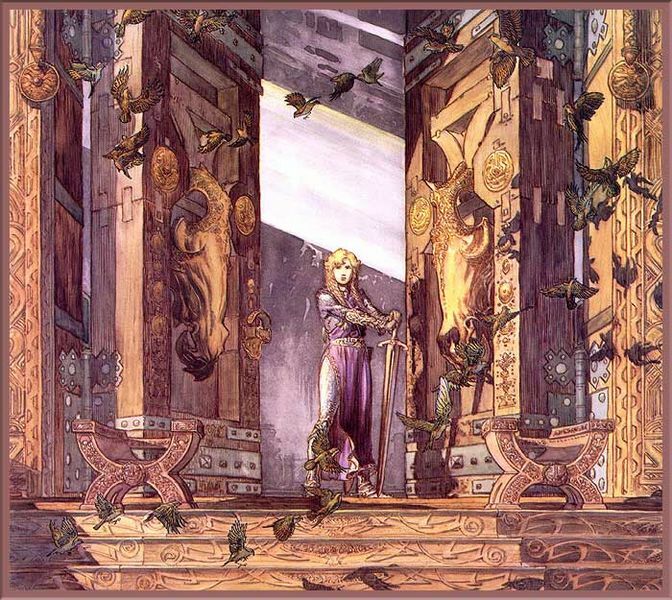 Adapted from chapters ‘Treebeard’ and ‘The King of the Golden Hall’ of The Lord of the Rings and ‘The Battles of the Fords of Isen’ from Unfinished Tales.